The circle is the simplest, but also most perfect geometrical shape. All points on the circle have the same distance to the centre. As symbols circles were used in many ways in Neolithic times and are still today, either solely or composed with other elements. In nature circles appear for example in the irises of eyes. Furthermore, heavily bodies in particular the sun and (sometimes) the moon appear as circles. The most obvious circular megalithic buildings are stone circles and henges. Most stone circles are found in Britian, Ireland and in France. Further there were also wooden circles, like Woodhenge or mixed structures, like the Sanctuary near Avebury. Circles play further a role in many burial structures. Burl  points out that some forecourts of Scottish and Irish court tombs are almost complete circles and might have been predecessors of stone circles and henges. Further, there are several megalithic tombs that have a circular base or perimeter (e.g. Waldhusen tomb). 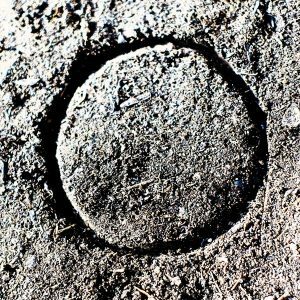 Circles appear regular as motifs in rock art and megalithic art. A circle has neither a start nor an end and stands for periodic, never ending events or processes. The alignment of some stone circles to solstitial events or the moon phases suggests an association to the periodic seasons of the year. On linguistic grounds a circle mean also a group of people sharing some common interest. This might be a hint that circles were used as gathering places. Burl  suggests that stone cycles played a role in fertility rites. This function was reported from North American Indian tribes. In recent European culture this tradition might have been partially preserved in maypole celebrations. A. Burl, The stone circles of britain, ireland, and brittany, Yale University Press, 2000. This site deal with symbolism of the Neolithic. This is an experimental mock-up to replace the wiki-based content.